Finding ways in which to live greener lives and lower your global impact is something that companies across all industries are focusing on. Renewable energies such as wind, hydro, and solar power are top of mind when reducing our impact but we rarely think of our human energy. In fitness, movement is energy and with every step, pedal, or push we create it. Now we can harness our human energy to begin making the world a more sustainable place - one workout at a time. Are you ready to start doing more with your energy? Can your workouts make the world more sustainable? With efficient embedded technology up to 74% of the human energy be exerted through a workout can be harness and used to power the fitness facility. 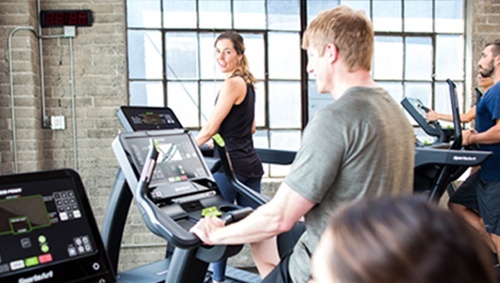 With treadmills, ellipticals, and cycles generating up to 200 watts per hour cardio bays can now be human power plants. Engaging members and keeping them motivated to push themselves and come back to the gym is difficult task. 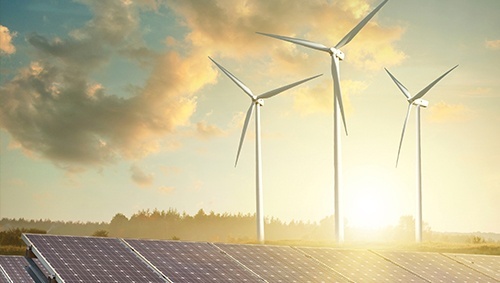 In a recent survey 64% of respondents said they would be more motivated if they new the their energy was going to be used for a more sustainable planet. 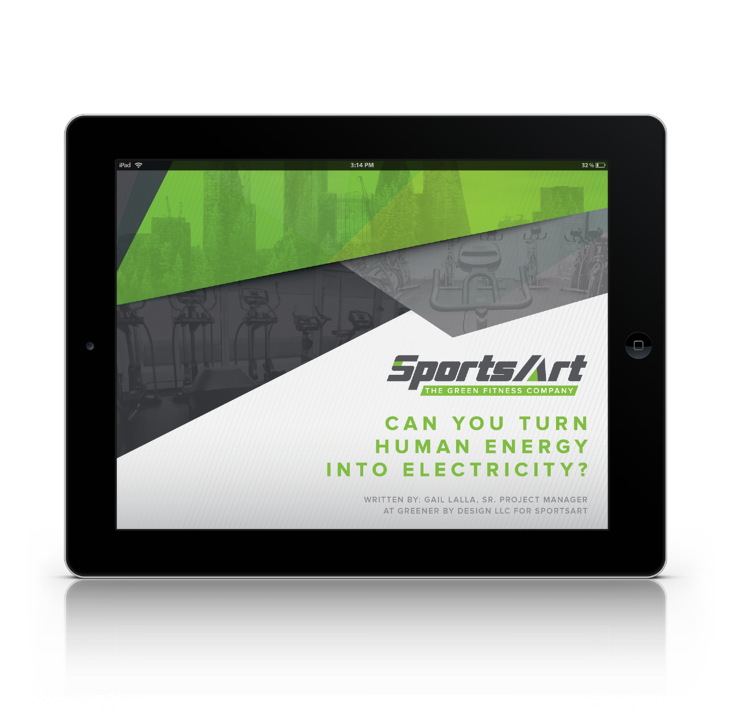 When looking to built or rejuvenate your fitness facility look for equipment that is able to create some buzz. 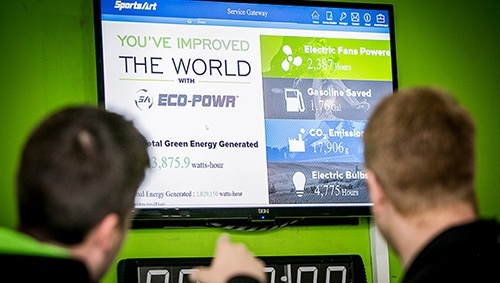 Getting the word out about an energy producing gym is as simple as going green. Just plug in equipment and start a workout to see the potential media attention.